InterGlobal is an international insurer with customers in more than 189 countries and eight offices worldwide. 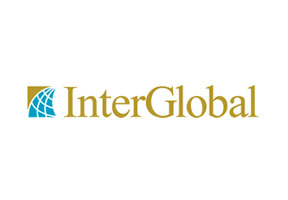 InterGlobal has, since 1998, been a leading insurance provider to globe-trotting clients like you. Based in the U.K., InterGlobal specializes in international health insurance, providing coverage for all your expatriate medical needs. The company was founded as a multinational joint venture between the Inter Group, a British company, and The Mike Henry Group from New Zealand. Five years later, in 2003, InterGlobal joined with Global HealthCare Limited, an arm of the Mike Henry Group. This merger resulted in a single, worldwide brand that emerged as a leader in the international insurance market. InterGlobal became an independent insurance agency in 2004, and has recently become an accredited insurance company. InterGlobal Insurance Company Limited provides all the underwriting and security for their plans and has earned an A.M. Best rating of B++ (Good) and a full FSA rating. Though InterGlobal has a strong history, it focuses on the future and the ways that the company can change to meet the shifting needs of its internationally mobile clients. Their philosophy is 'We only succeed when we meet and exceed the expectations of our customers'. This motto is reflected in the variety of coverage and the caliber of customer service. With offices all over Europe and Asia, InterGlobal embraces the rapidly globalizing world and aims to assist with all the challenges that living abroad can create. InterGlobal's long reputation of excellent customer service is reinforced by a myriad of industry awards in the last few years. InterGlobal was deemed "Best Individual International Health Insurance Provider" by Portfolio International in 2005 and 2006, and was awarded "Best International Private Health Group", by International Investment Offshore Fund & Product Awards in association with Standard & Poor's in 2006. InterGlobal was also highly commended as "Best International Private Medical Insurance Provider" by Health Insurance in 2006. Also in 2006, InterGlobal was highly commended "Best International Private Medical Insurance Provider" at the Cover Excellence Awards. To learn more about the service and features that accompany this long line of credentials, please contact one of our representatives.